NEW YORK, Jan. 23, 2019 – The WNBA and NBA Board of Governors have unanimously approved the purchase of the New York Liberty by an entity owned by Joe Tsai and his family, WNBA Interim President Mark Tatum announced today. Mr. Tsai is 49% minority owner and alternate Governor of the Brooklyn Nets. The team will resume play in New York this May when the regular season begins. The team’s home arena for the 2019 season will remain the Westchester County Center. In the summer, the Liberty will host a Comm-UNITY Day celebrating community, diversity and inclusion at a to-be-announced game hosted at Barclays Center. Through their charitable foundation, Mr. Tsai and his wife Clara have been supporting New York institutions through philanthropy and local programs, including Lincoln Center for the Performing Arts, NYC Police Foundation’s youth mentorship program, criminal justice reform through the Reform Alliance, and K-8 education through Harlem Academy. 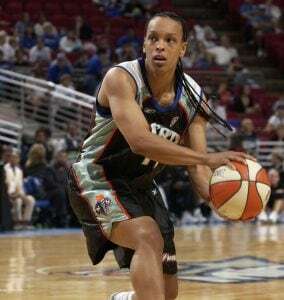 One of the most storied franchises in WNBA history, the Liberty began play as one of the WNBA’s eight original teams and took part in the league’s inaugural game, defeating the Los Angeles Sparks, 67-57, at the Great Western Forum in Inglewood, California, on June 21, 1997. 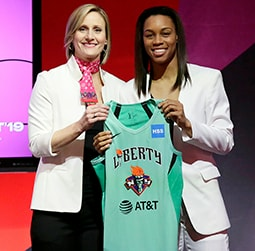 Throughout the team’s history, some of the league’s most celebrated players have taken the court for the Liberty, including Rebecca Lobo, Teresa Weatherspoon, Becky Hammon, Cappie Pondexter, and Tina Charles. 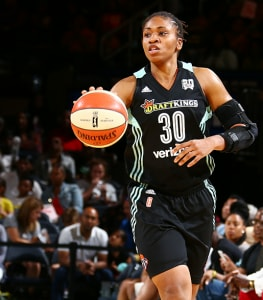 The WNBA – which features 12 teams and is the most successful women’s professional team sports league in the world – is a unique global sports property combining competition, sportsmanship, and entertainment value with its status as an icon for social change, achievement, and diversity. The league will tip off its 23rd season on May 24, 2019. Through WNBA Cares, the WNBA is deeply committed to creating programs that improve the quality of life for all people, with a special emphasis on programs that promote a healthy lifestyle and positive body image, increase breast and women’s health awareness, support youth and family development, and focus on education. 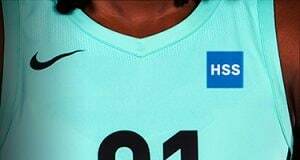 For more information about the WNBA, visit WNBA.com. In addition to owning 49% of the Brooklyn Nets, Mr. Tsai is owner of the San Diego Seals, an expansion franchise in the National Lacrosse League playing its inaugural season. Mr. Tsai is a founder of Alibaba Group, a China-based global technology company with businesses in e-commerce, cloud computing and entertainment. He is executive vice chairman of Alibaba Group and has been a member of its board of directors since the company’s inception in 1999. Originally from Taiwan, Mr. Tsai attended the Lawrenceville School in New Jersey where he played football and lacrosse, and later he played lacrosse as an undergraduate at Yale College. After earning his juris doctor degree from Yale Law School, Mr. Tsai worked in New York City for many years, where he met his wife, Clara Wu.